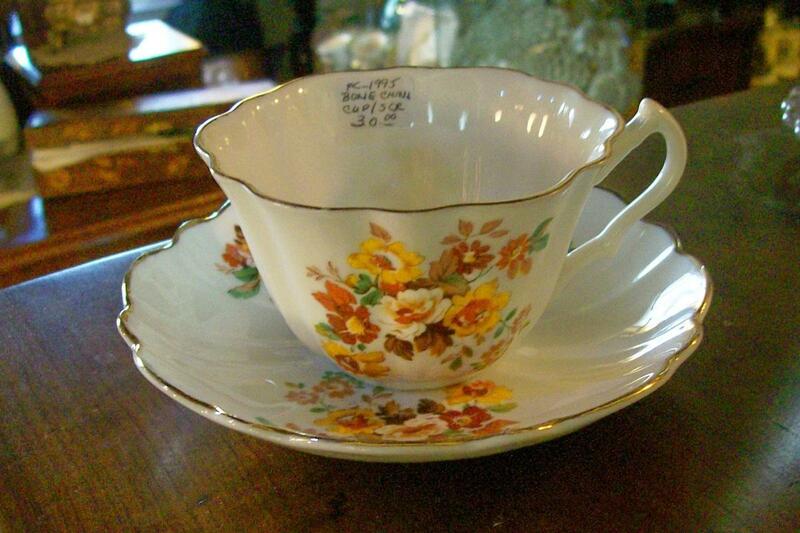 Heritage Bone China cup & saucer, made in England, circa 1960s. Brown, gold and rust florals on white, with gold metallic trim. Fluted shape. 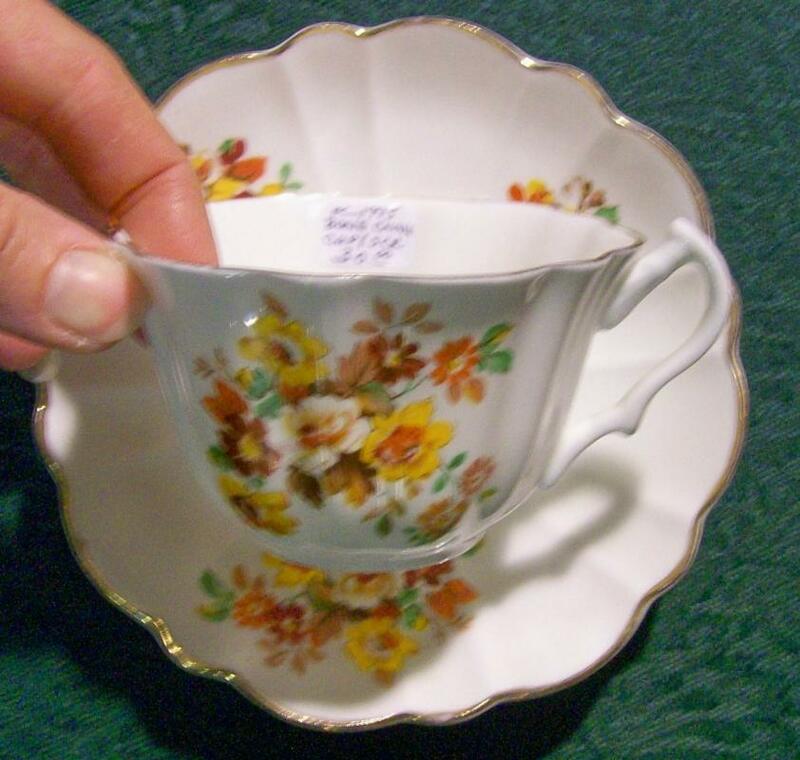 Cup measures 2 1/4"h; saucer 5 3/8"d. Nice condition with no chips or cracks. Inglenook Antiques...Established 1989. 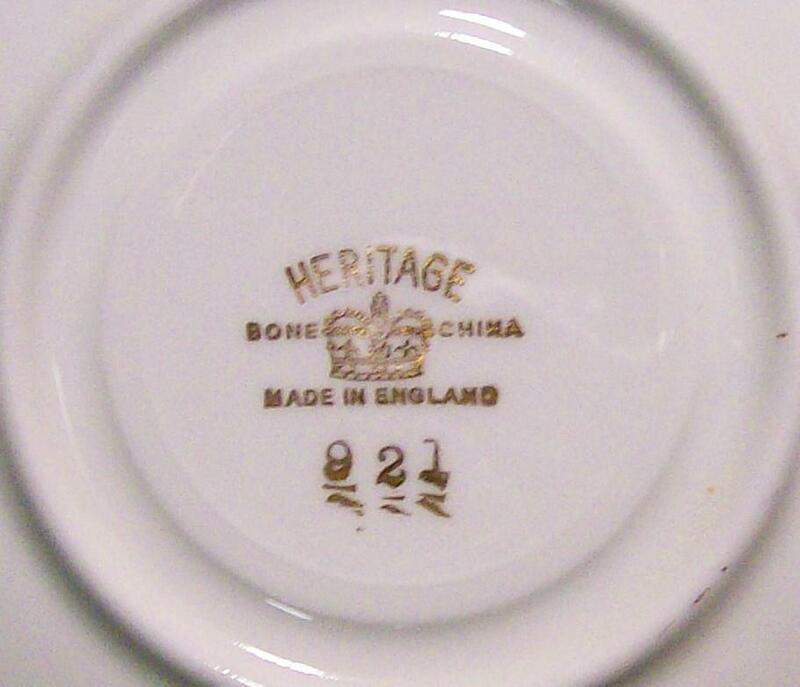 Items Similar To "Heritage Bone China Cup & Saucer #921 England"